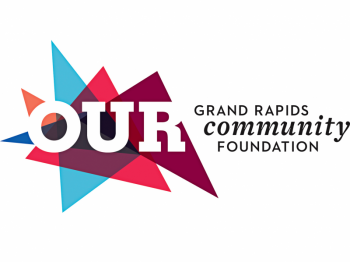 Grand Rapids resident and attendee of the Women's March on Washington reflects on the frustrations and progress of the past year. Last January, more than 400,000 peaceful protesters marched in the streets of Washington D.C. and an estimated five million participated in roughly 600 locations worldwide. The message was simple: “Women’s rights are human rights and human rights are women’s rights.” Though, ultimately, it was about so much more. 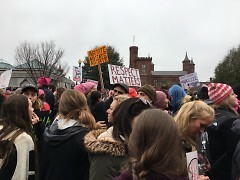 The Women’s March on Washington is among the largest single-day political demonstrations in the U.S., if not the largest. I’m proud to say I was there. Before the March, I wrote about anticipation and inspiration; after, I wrote about optimism and determination. A year later, I’m writing about what? Truth is, I’m a bit speechless. When I was asked to write a piece reflecting on the Women’s March a year later, I accepted right away. Since that time, I have been turning it over in my head, writing, backspacing, deleting, and rewriting. It’s complicated. Most days, I’m troubled; others, I’m bewildered. Occasionally, I’m hopeful—though that feeling is often fleeting or quashed by the latest outlandish (but thoroughly real) headline. Not quite the message anyone wants to hear, is it? But it’s genuine and I wouldn’t feel right pretending otherwise. That said, in my heart, I do feel there is hope—even if I have to give myself a gentle reminder from time to time. 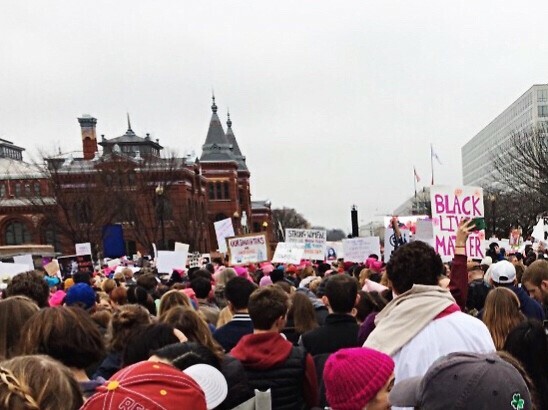 What happened after the Women’s March? In the wake of so much negativity, what do we have to feel good about for all of our effort? For starters, we—many of us first-timers—exercised our right to “petition the Government for a redress of grievances” in unusually high volumes. That’s what the recorded messages reported, anyway. I know because I was one of those callers. And also a rookie. Sometimes it made a difference; sometimes it didn’t. Most importantly, we participated and we believed in the potential of our voices. We also voted in state and local elections, showing our opposition to the current administration and making meaningful strides toward rebalancing power. And, we celebrated a number of firsts for women, the LGBTQ community, and Asian-, Latina-, and African-Americans. We proved to the country and to ourselves that if we show up, we can make big waves of change. Then there’s the #MeToo movement, which has exposed the magnitude of sexual assault, misconduct, and harassment occurring worldwide. It’s empowered those affected to speak out and held accountable those who believed they were untouchable. It’s forced us to bring silent burdens into the light and urged abusers to not only contemplate their actions, but to consider how they might change. Though some believe that the movement will be short lived, it’s difficult to imagine how we might unsee and unhear these cries. It’s what we do with this information now that’s important. Accusers have spoken; now society as a whole has a responsibility to respond. I believe we have and we will. Finally, whether it is a result of the Women’s March, a reaction to the 2016 presidential election, or a universal motivation to become a vehicle for positive political change, more women than ever are running for office in 2018. As we place more women in positions of power, we can expect to oust antiquated beliefs and drive out the widespread misogyny that exists today. There is no doubt in my mind we will. Though the Women’s March in some ways seemed like just a symbolic gesture, we’ve seen what we can achieve when we mobilize. At times we might feel defeated and discouraged. But, it is in the throes of these challenges that we find the incentive to disrupt, resist, and persist. The Women’s March was our catalyst and it was just the beginning.